When furnishing and decorating our home we want it to be perfect. 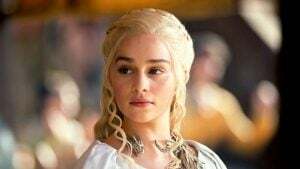 We pay attention to the smallest details, we spend forever choosing the color of the walls, the type of flooring we want and what kind of carpets we will get. 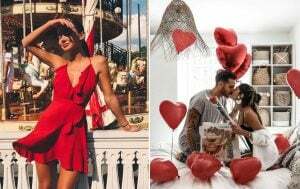 We obsess over getting the perfect couch, the most efficient yet beautiful kitchen and it takes us forever to choose the correct bed for the bedroom. But what about the bathroom? We usually pick the perfect bath and get the tiles that look nice. Bathroom vanities are rarely a huge deal. 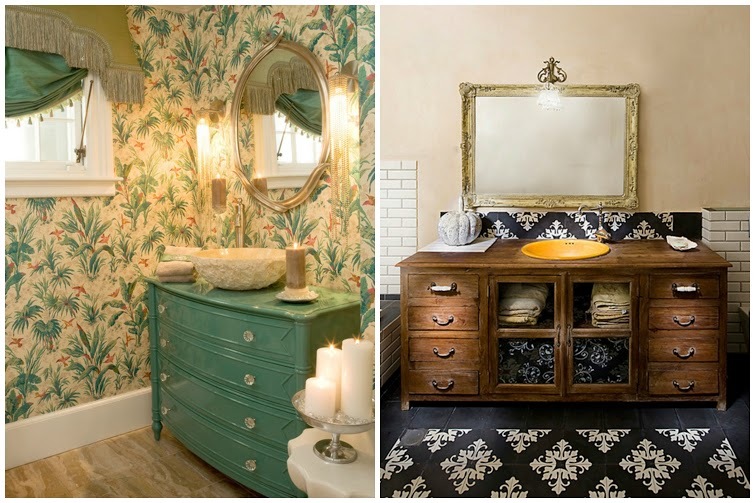 Everyone just gets normal, boring bathroom vanities, because we rarely think that there’s much choice there. Well, I’m here to prove you wrong. 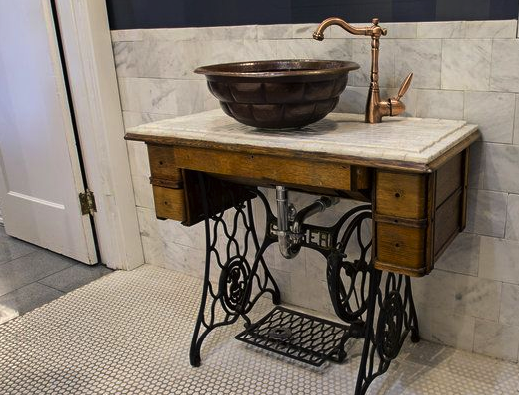 There’s ways to be creative with everything in your house, including bathroom vanities. 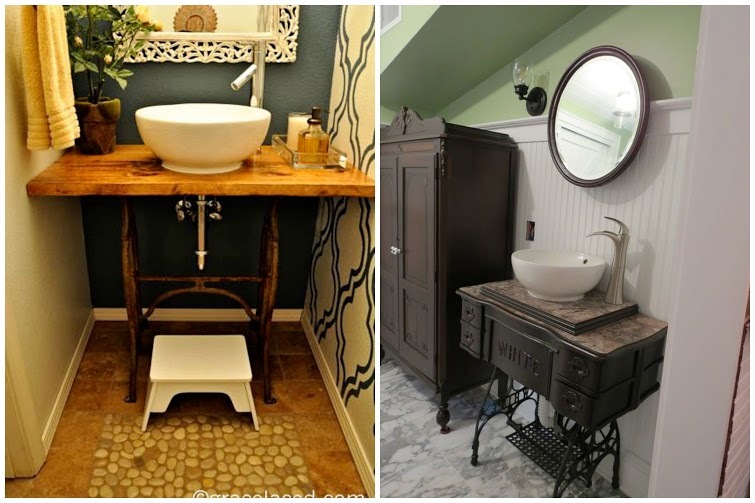 Let’s take a look at a couple of really creative bathroom vanities. This is a great choice for those who have an old bicycle that they can’t ride anymore, but feel too sentimental to throw it out. 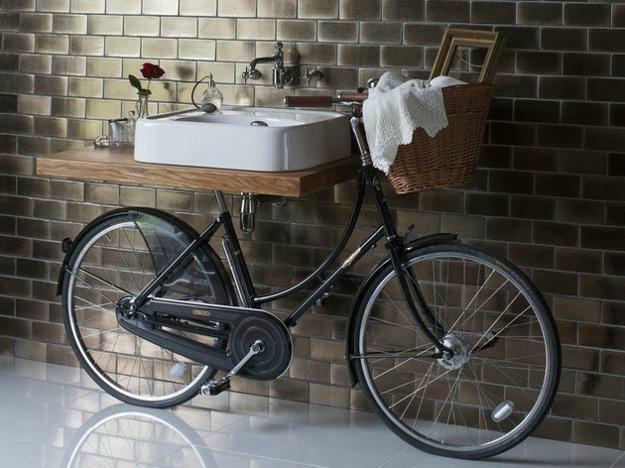 Who knew you could turn it into a charming bathroom vanity? 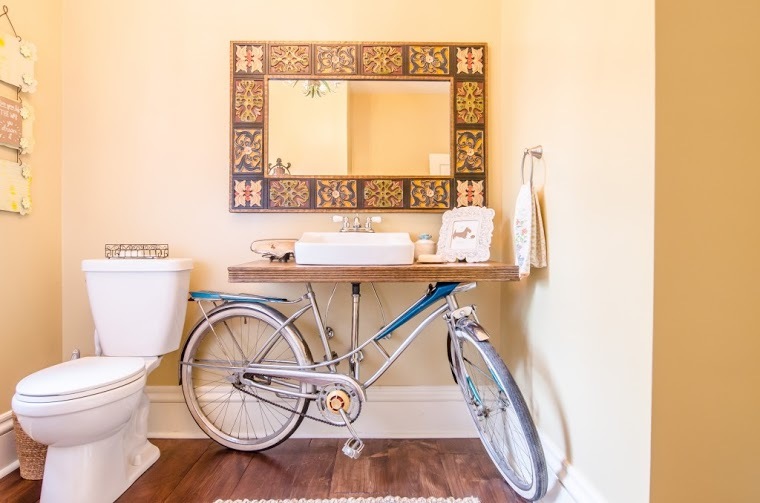 The best thing about it is that you can paint the bicycle however you want and customize it to fit the color scheme of your bathroom. 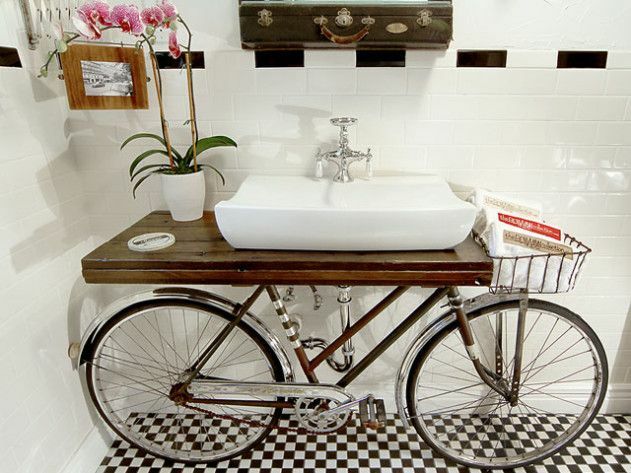 It can really add a bit of character to your bathroom and depending on what bike you have can either make your bathroom look cool and modern, or chic and fancy. 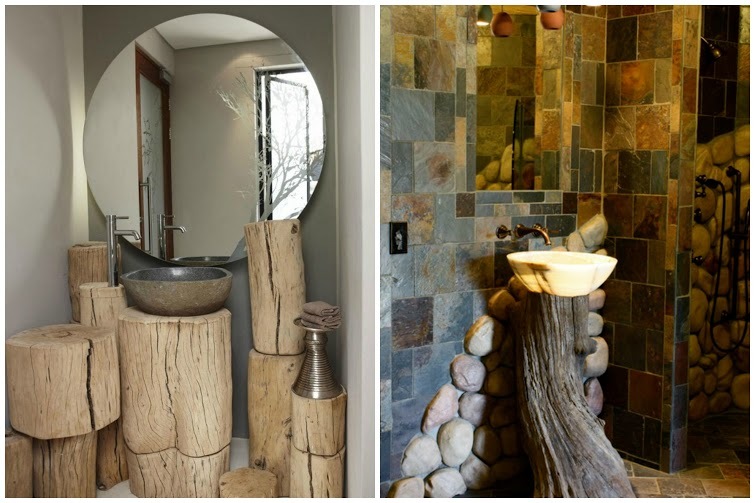 Another cool idea is to use old tree stumps for your bathroom vanity. 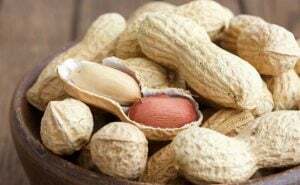 You can use a big one or just stack up a couple of small ones on top of each other. It’ll be easy to cut out all the holes for the plumbing, and it’ll look very eco-friendly. And once again, it’s wood, so it won’t feel cold, which is something we all struggle with in the morning. No one wants to touch freezing cold tiles or cold marble countertops when you’re still warm and sleepy in the morning. 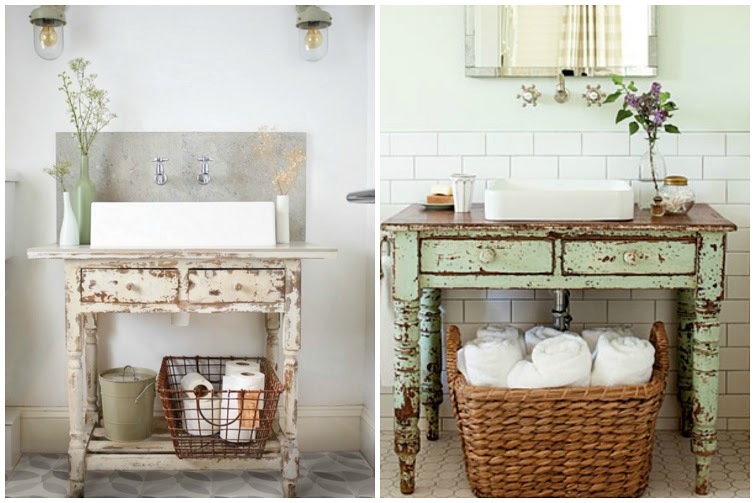 Another cool way to upcycle an old thing is to use an old sewing machine as your bathroom vanity. 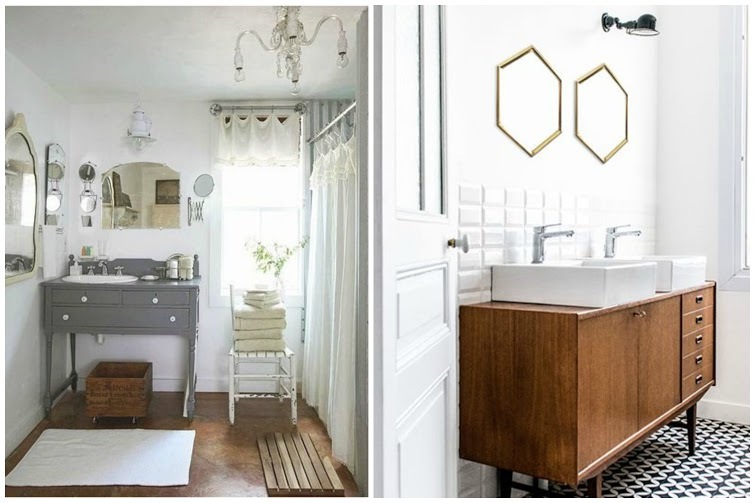 It’ll give your bathroom an old, vintage feel and will become the focal point of the whole room. 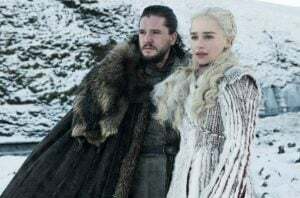 Old sewing machines are usually made of wood, so it’ll always be warm and you won’t have to worry about touching the cold surface in the morning. 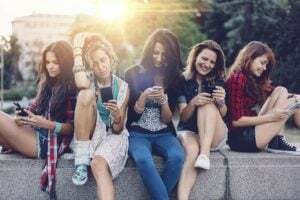 If you don’t like the color you can always spruce it up by either spray painting it, or just painting it with water resistant paint of some pastel or bright color, depending on the overall style of your home. If you like rustic looking things this is a great choice for you. Pallets are cheap and sometimes you can get them for free. 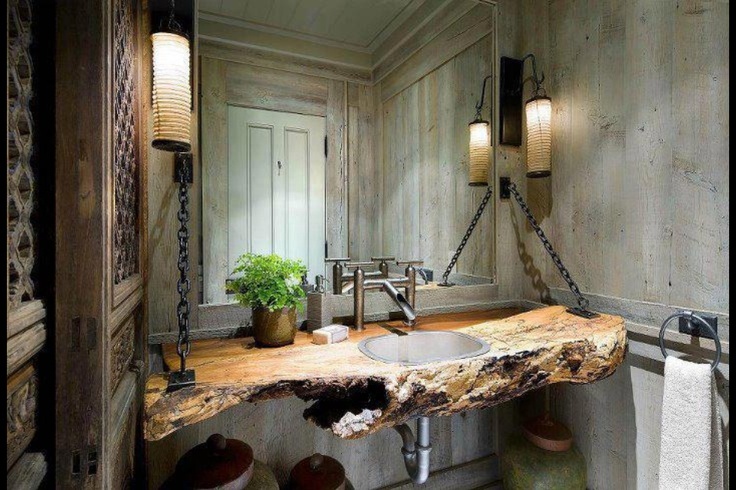 This type of bathroom vanity will look really cool and hipstery. 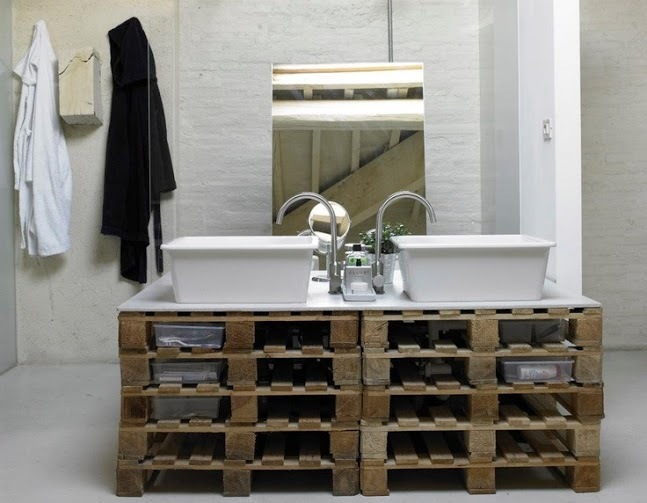 Plus you get to tell everyone you’re being smart and environmentally friendly by recycling/upcycling old pallets. 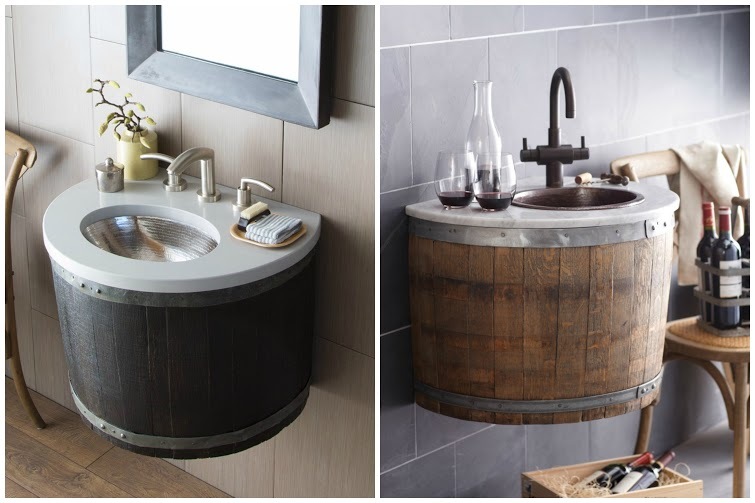 No one needs to know that you’re also saving a whole lot of money by not purchasing and expensive bathroom vanity. If you love wine, this will speak to you. 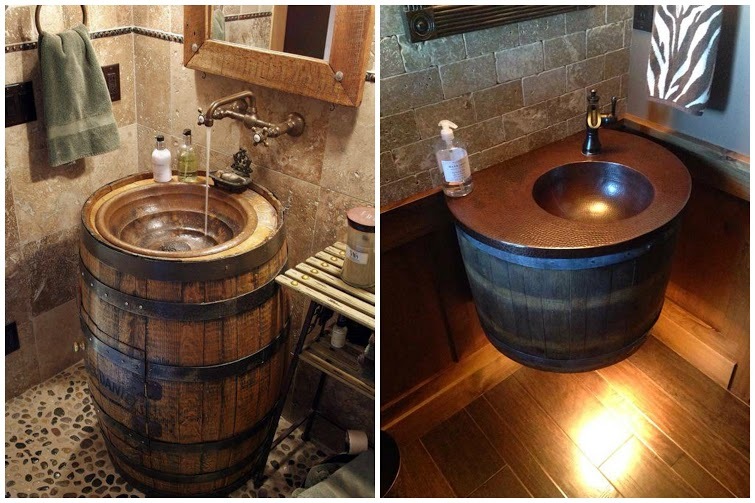 Using a big old wine barrel for your sink is a very creative and cool idea. 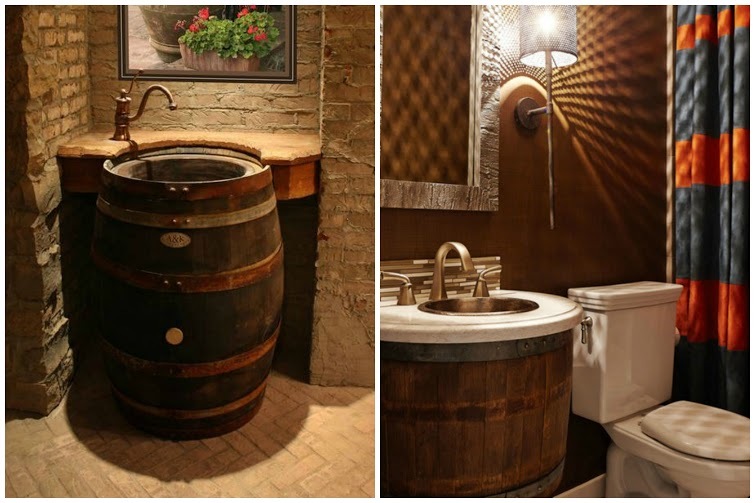 It’s even better if you know someone who owns a winery and can hook you up with a wine barrel. Just imagine how much character something like that would add to your bathroom. Now if only we could make wine come out of the faucet instead of water – that would be perfection. 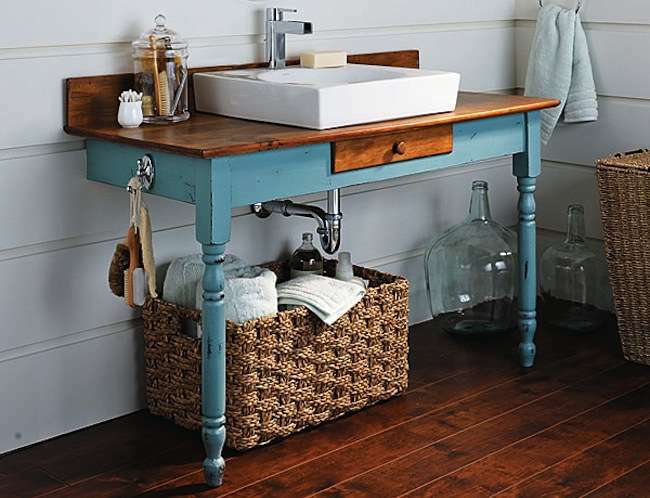 Why not use a desk for your bathroom vanity? The brilliance of this is that you have endless options when it comes to style. 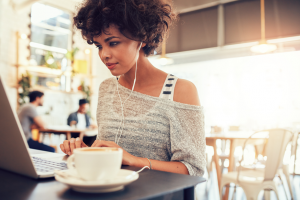 Use a vintage one if that tickles your fancy, or go for a minimal and slick IKEA desk. 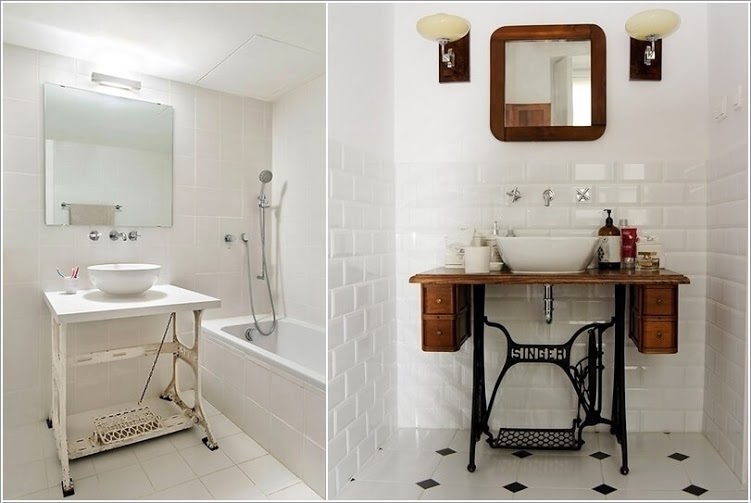 Either way it’s a great way to repurpose old furniture, plus desks usually come with drawers, so you get extra space to put all your towels and toiletries. 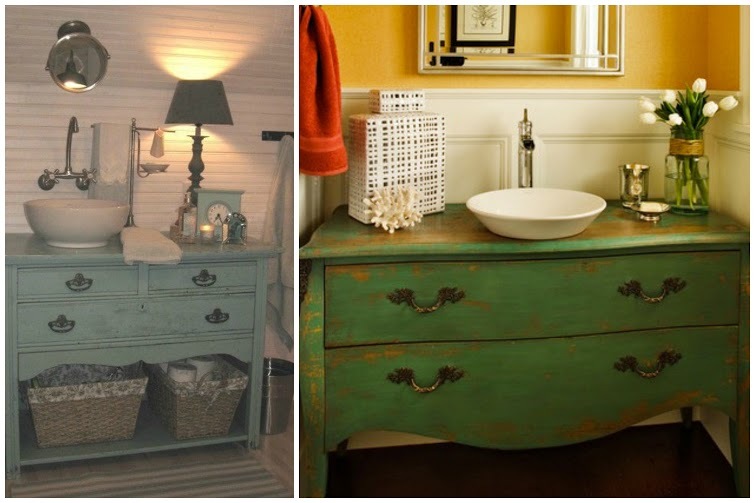 Similarly to the previous option you can use an old dresser to make your bathroom vanity. Those old, vintage looking ones looks the best. Especially if they have old peeling paint – it looks even more legit that way. If you’re not a fan of peeling paint you can always freshen it up with a new layer or paint. Dressers also have a lot of drawers, so it’ll come in handy for storing all your extra guest towels.